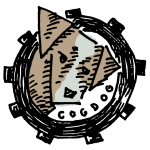 Conceived as means to send video-like content over extremely limited bandwidth of the late 1908s internet, the Animated GIF (Graphics Interchange Format) has evolved from tiny pixelated cartoonish media to evocative art at the same time becoming a primary way to extend the virality in social media of memes to ones that move. After last week’s deep dive into Net Art, we return to maybe the more web pedestrian form… yes quirky Animated GIFs. Like memes, they can reach far and wide, but the same question looms- can we use them for more than generating a laugh? That’s what we explore and do some creativity with this week. And we start our route towards our end of class project by conjuring up our own digital alchemist mentor to guide us. Like memes we studied previously we likely do not have to explain or describe what an Animated GIF is, do we? 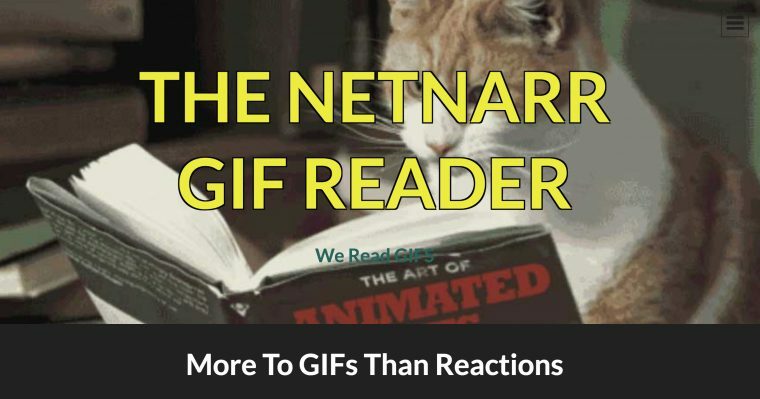 To learn more The GIF, we refer you to the NetNarr GIF Reader. What is a GIF you have seen most recently? Can you tweet it? Where/when did you see it? Who sent it? Do you know where the original image came from? Did you share ir or respond to it? Now it is your turn to find some artistic or explanatory GIFs that do more than just aim for the laughs. That means none from giphy 😉 and we love giphy. Explore the following collections to find GIFs that make you go OMG; find at least three to tweet out to the world (with the #netnarr tag) and include, beside the link, the reason why you think it is jaw dropping. 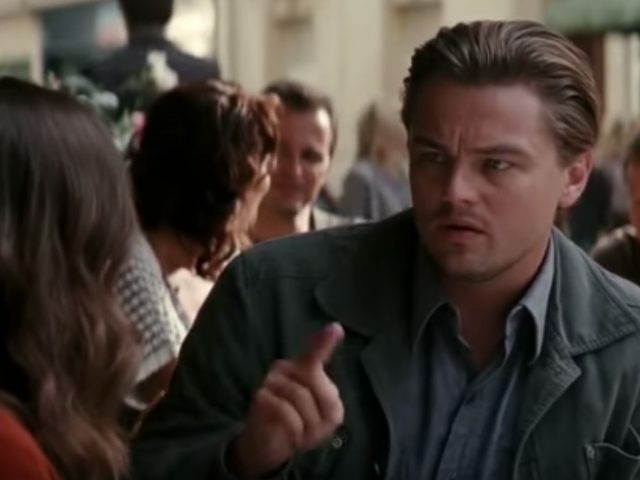 When Is an Animated GIF Better Than a Video? 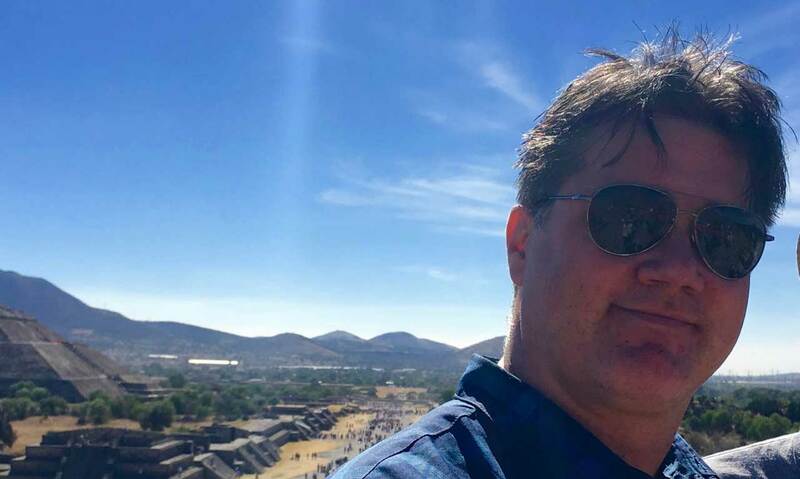 Our studio visit this week is a conversation with educator and GIF finder extraordinaire Brian Lamb where he will share his perspective on the internet darkness factor and what he sees in animated GIFs. We put some digital media creation chops together along with some creativity. Let’s imagine we know a coffee shop where the most skilled digital alchemists hangout. It’s called “Arganee”… What happens when we visit there? Who will we meet? How do we approach an experienced digital alchemist to seek their wisdom? We will try imagining this scene as a GIF. In our first Make, we will all use one of three video clips from various movies or shows (no knowledge of the original content is required), but each person gets to choose a key scene (just a few seconds) to “gifify”. It’s interesting to see which ones people pick. You will create two GIFs from the same scene, one with overlay text and one without. What can you suggest in a GIF without any text? As part of our leading up to the final Field Guide project, we are unfolding a new creative activity, something we have done before in #netnarr — asking you to create and breathe digital life into a character. Someone you will interact with, and who will interact in others. So let us imagine a not so well known coffee shop. A place called “Arganee” where digital alchemists congregate and informally share ideas. You are shown the way there. 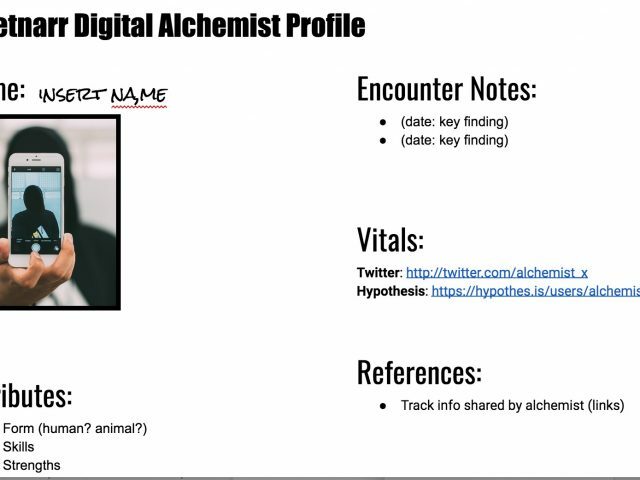 So our first step is where you will create a persona for a digital alchemist who will be your mentor in investigating one dark corner of the internet. The first step is giving them an identity, this is the task for the week. Dealing with the depth and vagueness of the dark internet can be overwhelming. What if you could summon a mentor, a digital alchemist, that might guide you towards the light? Imagine a coffee shop name “Arganee, filled with experienced alchemists who have figured out their own ways of transforming the internet darkness into shards of light. If you approach them respectfully, one alchemist character can assist you in becoming like them, a contributing member to this special society. Field Guide Review. Write up a review of an article about animated GIFS as posts tagged fieldguide that might be of interest when producing a “Field Guide to Surviving the Darkness of the Internet”. Complete the two Make activities from this week. Be sure to submit your work as responses to both the GIF A Scene in the Digital Alchemists Coffee Shop and Conjure Your Digital Alchemist Mentor. Tweet them out too. Weekly Reflection From our class activities and hangouts, summarize your thoughts on the potential of animated GIFs to communicate something important. What might you do with an ability to create them? What thoughts questions do you have from our studio visit? What is it like to have your own digital alchemist mentor? Featured Image: Art face GIF by Mike Snow found on giphy; resized to better fit the aspect ratio of the header.